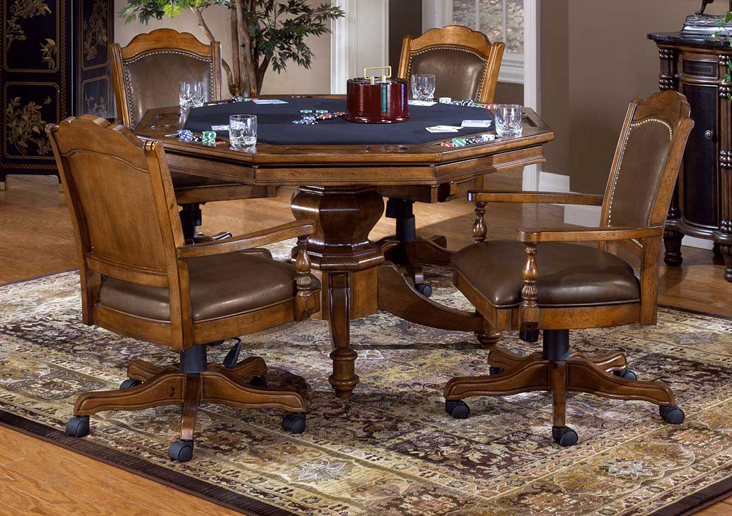 The Nassau game room collection is distinguished and regal. The classic lines and nail head trim on the chairs along with the lift mechanism that allows them to adjust to different heights and swivels, make them elegant and practical. The table only adds to the magnificence of this set and can transition from a game table with a black felt to a solid top for dining.